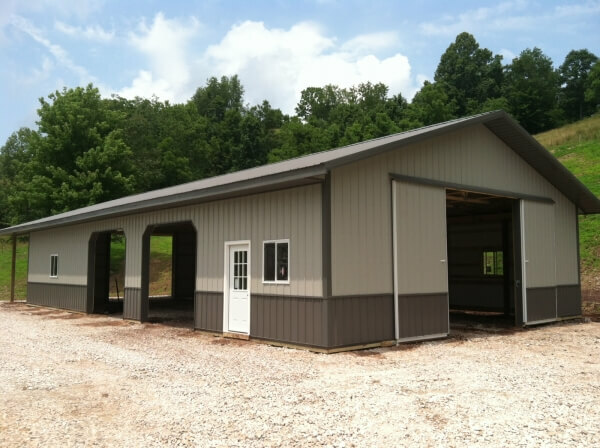 The best horse barn builders throughout Morgantown WV! Eastern Buildings is the most reliable, efficient, and customized builder throughout West Virginia. We've been offering professional and expert engineering, design, strength, and beauty with each one of our construction projects since 2001. 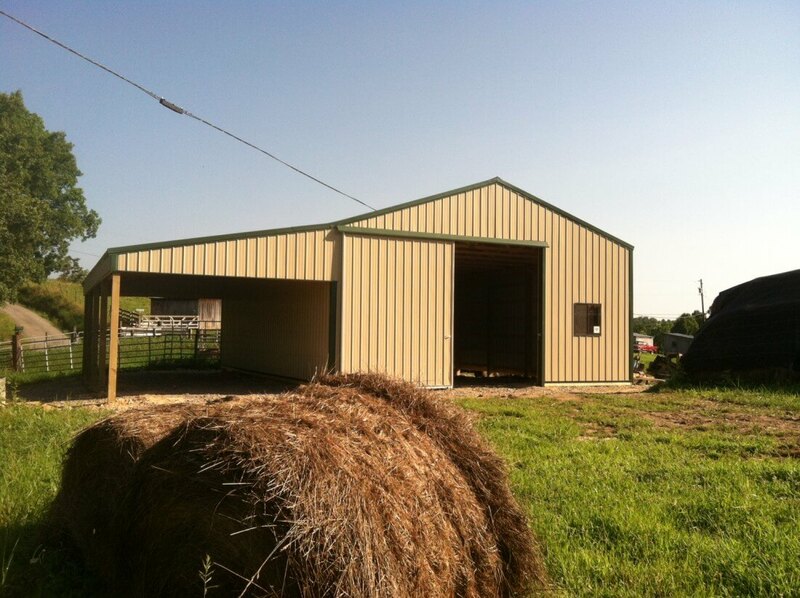 We're versatile and have constructed many different buildings or additions, including horse barns, garages, barns, and much more! Our creativity and openness are the driving factors that help us construct any building you have in mind. We combine some of the most advanced technology with old-fashioned principles to give you the best source for pre-engineered buildings. The name Eastern Buildings is synonymous with top quality custom pole buildings. From residential to commercial to agricultural - we do it all! Our pricing is affordable and consistent, our designs are custom, our estimates are free, our workmanship is quality, and our construction is quick - there's no reason you shouldn't call us for your next construction project! Why Choose Eastern Building as Your Construction Company? We use high quality materials and provide a high level of service. Comprised with over 40 years of post frame knowledge & engineering capabilities. We handle all aspects from sale to completion. We are responsive and can provide a free price quote on the first call! Fast turnaround with a competitive product. We have an A+ Rating on BBB. Eastern Buildings is the region's leading builder of pole barns and offers building services to the entire state of West Virginia. 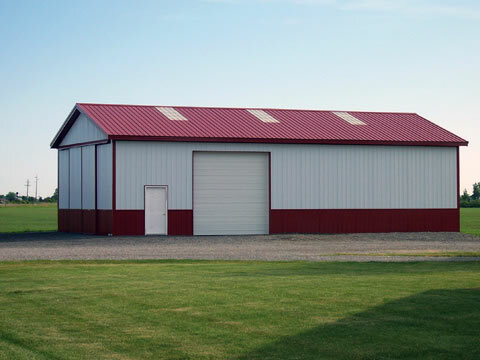 We offer a wide range of building options when it comes to pole buildings, and we can customize your pole barn with a variety of different colors. Pole barns are a great alternative to the conventional stick built buildings, and at Eastern Buildings, we use the best quality products in the industry to meet your custom pole barn needs. We take your design for your pole barn seriously. We believe that our method of constructing barns and garages is a very effective method - costing you less than traditional steel frame or study frame designs. 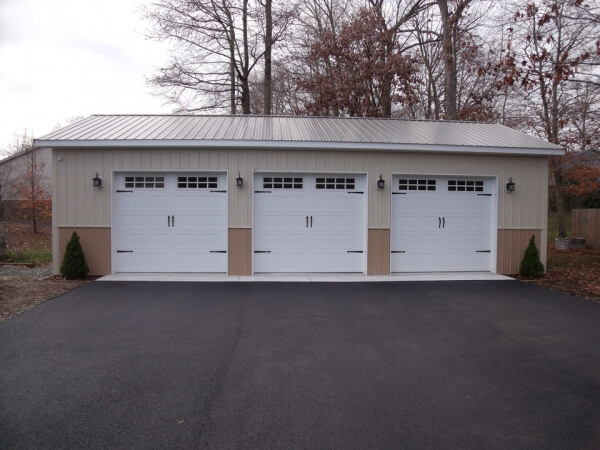 Plus, the overall project time is significantly shorter when you go with one of our pole barns or garages, less time than it takes to construct a standard framing or steel frame! 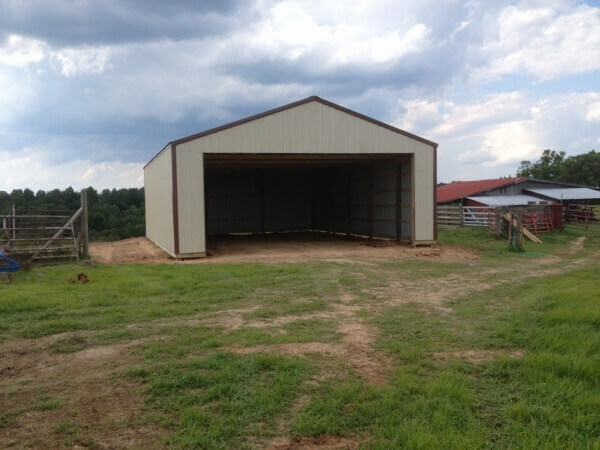 We specialize in building sturdy horse barns that provide your horses with a safe and beautiful living area. From lighting to layout recommendations, our crew can assist you from the planning stage through the construction of your horse barn. Whether you are considering a small project for your private facility or a large custom build, our builders will meet your functional needs and desired aesthetics. Horse barns are a passion of ours, and the options are endless when it comes to the custom features Eastern Buildings offers. If you're looking for professional horse barn builders with years of experience behind them, you've come to the right place! Saving you money while providing quality garage storage for your valuables is our specialty! We believe that you deserve to have your dream storage or play space within a few steps from your home. Whether you need a garage for your home or business, large or small, we specialize in providing affordable garage construction services. With over 40 years of experience, our crew is has what it takes to ensure that your next project goes well - from start to finish. From the initial design prints to the site construction, we guarantee to offer a solution for your next garage or barn. 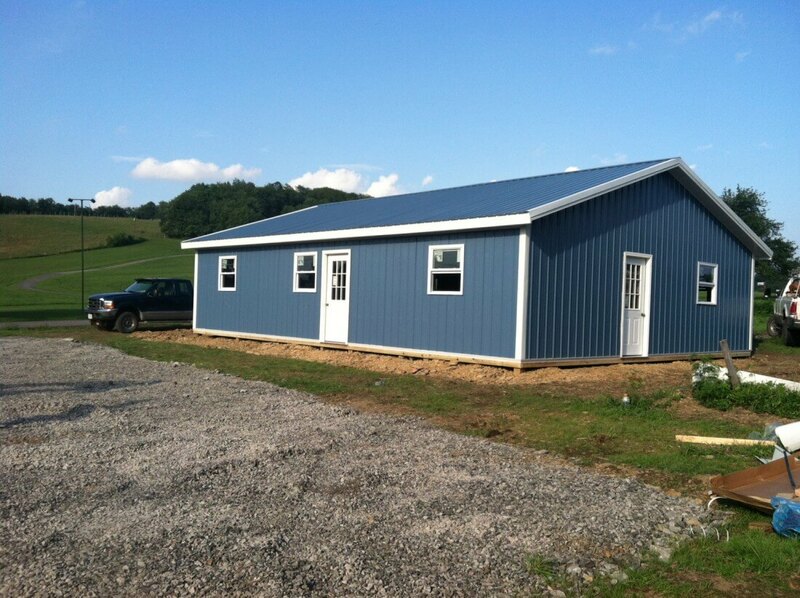 If you're in the Morgantown, Charleston, Parkersburg, Fairmont, Wheeling, or surrounding areas and are looking for reliable horse barn builders services, look no further than Eastern Buildings, LLC. Contact us today!